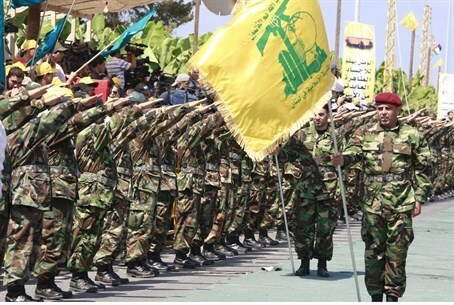 Senior officer in the Revolutionary Guards claims Hezbollah's arsenal rivals Hamas's. Iranian officials are closely studying the progress of Operation Protective Edge, in light of concern over Israel airstrikes on its nuclear facilities and its ongoing quest to destroy Israel. Hossein Salami G'anshin, commander of the Iranian Revolutionary Guards, said in this context that the war in Gaza is an introduction prior to the collapse of Israel, noting that Hezbollah has become a very powerful factor that can launch missiles "non-stop" on all the cities of Israel. The Naval commander of the Revolutionary Guards, Ali Fadawi, said at a meeting with senior officers that following the war, the Iranian army should place emphasis on strengthening deterrence and defense capabilities in order to bring down Israel. According to Fadawi, the Iranian army closely monitors the IDF's activities and is engaged in the development of plans for the protection of Iranian assets in accordance with Israeli "threats" and the different possible scenarios. Fadawi added that the information gathered from the "enemy" for the Iranian army is one of the factors helping build Tehran's deterrence and towards realizing the capabilities of Iran. Iran recently stated that it provided "rocket technology" to Hamas before the current conflict, denying that it provided the actual rockets but claiming it provided data and research. Iran has provided Hamas and Islamic Jihad with long-range missiles such as the Fajr-5 and M302. Earlier this year, Israeli naval commandos seized the Klos C ship, and discovered weapons including long-range rockets destined for terrorist groups in Gaza. Despite its active role in providing the rockets raining down on Israeli population centers, Iran condemned the IDF operation aiming to stop the rockets as "savage aggression" earlier this month. Iran has also been explicitly linked with Hezbollah and has been accused of using the group to further its aims in war-torn Syria.